During the 1932 musical revue, Clowns in Clover, Walter Woolf King introduced “Don’t Blame Me” at Chicago’s Apollo Theater. Originally opening in 1927 at the Adelphi Theater in London, Clowns in Clover starred the husband and wife musical comedy team of Jack Hulbert and Cicely Courtneidge. The London engagement enjoyed great success and ran for 500 performances. While Noel Gay wrote the original score for Clowns in Clover, Dorothy Fields and Jimmy McHugh added songs such as “Don’t Blame Me” for the Chicago run. The year after its Chicago debut Fields and McHugh recycled “Don’t Blame Me” into the score of the popular 1933 film Dinner at Eight. As a result, that film is often credited as the composition’s origin. The songwriting team also wrote a promotional title song for the film that was sung by Frances Langford at the premier and became a hit for Ben Selvin and His Orchestra with vocalist Helen Rowland. Guy Lombardo was the first to have a hit recording with “Don’t Blame Me,” entering the pop charts in July of 1932 and rising to number nine. The best remembered recording of that era, however, was by Ethel Waters, accompanied by members of the Dorsey Brothers orchestra. [It was] on the movie set of Two Weeks in Another Town. The movie starred Kirk Douglas; I sang his favorite song in it. The song was “Don’t Blame Me.” Liza got me the movie. Her dad, Vincent Minnelli, directed it. What a friend! Dorothy Fields and Jimmy McHugh wrote “Don’t Blame Me” during their transition from Broadway shows to Hollywood films. Their stage contributions produced such hits as “I Can’t Give You Anything But Love” (1929), “Diga Diga Doo” (1928), “In A Great Big Way” (1929), “On the Sunny Side of the Street” (1930), “Exactly Like You” (1930), and “Blue Again” (1931). Fields and McHugh’s success continued with Hollywood scores producing “I Feel A Song Coming On,” “I’m in the Mood for Love,” and “Hooray for Love,” all in 1935. This section suggests definitive or otherwise significant recordings that will help jazz students get acquainted with “Don't Blame Me.” These recordings have been selected from the Jazz History and CD Recommendations sections. Nat “King” Cole recorded “Don’t Blame Me” as an instrumental with his trio several times, but it was his trio recording from 1944 with vocals (For Sentimental Reasons: 25 Early Vocal Classics) that would eventually become a hit when reissued four years later and which is an all-time classic among vocal versions of the tune. Among modern jazz fans and musicians Charlie Parker’s 1947 performance of “Don’t Blame Me” (Complete Dial Sessions Master Takes) is a definitive version of the tune. People wanting to explore Parker’s ballad style will find this to be an excellent starting point. Movement “A” consists of upward skips alternating with step-wise descents. “B” rises chromatically before a skip upward; the downward leap of a seventh then arpeggiates up before a final chromatic descent into the last “A”. A number of chord substitutions and delayed resolutions keep this tune interesting. Many of the melody tones are the “color” tones or harmonic extensions of the underlying chords. Of special interest are the chromatic “lower neighbor tones” occurring in the first two measures of “B”. In the first measure of this section, this seemingly creates tension between the minor iv and its parallel major. Functionally, however, the entire measure is really major. If the clashing between the minor third of the melody and the major third of the chord causes confusion, the accompanist might consider using common-tone diminished chords on beats one and three in the measure (or omit the third). The second measure of “B” is different; the melody alternates between the flatted and the natural fifth. In this context, the flatted fifth (Bb) cannot be anything other than a color tone. The bass should be confined to the root and third here. Pianist Teddy Wilson’s 1937 solo version resurrected this 1933 tune. It was recorded during a busy time in his career when he was working with the Benny Goodman Trio and leading recording sessions backing Billie Holiday. Tenor saxophonist Coleman Hawkins, not to be outdone by his “protege” Ben Webster, made his version just months after Webster’s and is accompanied by a group which includes Teddy Wilson. Another Goodman alumnus, pianist Mel Powell, was a member of Major Glenn Miller’s Army Air Force band in Europe during World War II. In Paris, just days after VE Day in May 1945, he made a solo version, no doubt as tribute to Wilson. Powell went on to compose and teach in the classical field. Bird’s tender interpretation of “Don’t Blame Me” is one of the definitive recordings of the tune and is a prime example of his ballad style. Out of print for years before its 2005 reissue, this classic performance swings elegantly and is a wonderful showcase for the influential work of Jamal’s drummer-less trio with Ray Crawford and Israel Crosby. Tatum offers a relaxed interpretation of “Don’t Blame Me” that relies more on his rhythmic self-assurance than on his usual dazzling displays of technique. McLean plays wonderfully on the rest of this album, but “Don’t Blame Me” is a tight, swinging trio feature for the rhythm section of Walter Bishop, Jr., Paul Chambers and Art Taylor. Monk is alone at his piano on this passionate reading of “Don’t Blame Me.”’ The mood is somber, and the playing dissonant, and Monk compellingly takes possession of yet another standard. The tone is warm and relaxed on this great, mid-tempo reading of “Don’t Blame Me”’ with saxophonist Webster taking a meandering, full-bodied solo. With his trio, featuring the brilliant Oscar Moore on guitar, Cole offers an infectious performance of “Don’t Blame Me,” showcasing both his voice and his piano. Guest vocalist Cassandra Wilson starts this one off smoky and sensual, but as the song progresses, so does the tempo. 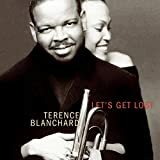 Blanchard’s red-hot trumpet fills all the space with some fantastic runs.